It tells the story of Schumacher’s extraordinary record-breaking F1 career and the driver’s time at Ferrari when, between 2000 and 2004, he clinched five consecutive world championship titles. During his entire career, Schumacher won an as-yet-unequalled seven world titles, 91 Grand Prix and 155 podiums. Tragically, Schumacher suffered a traumatic brain injury in a skiing accident in 2013 and is still recovering at his home in Switzerland. 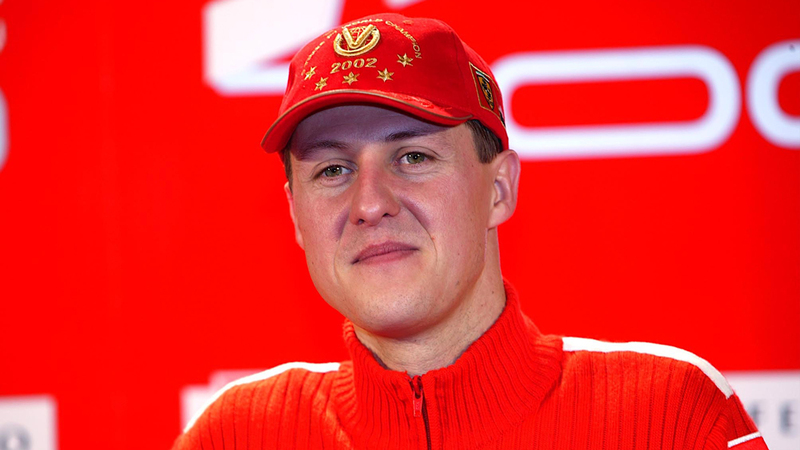 Ferrari’s tribute has been organised in partnership with the nonprofit group Keep Fighting, whose mantra “Keep Fighting and Never Give Up” was directly inspired by Schumacher. Ferrari’s fabled Michael Schumacher. Photo: Courtesy of Museo Ferrari Maranello. 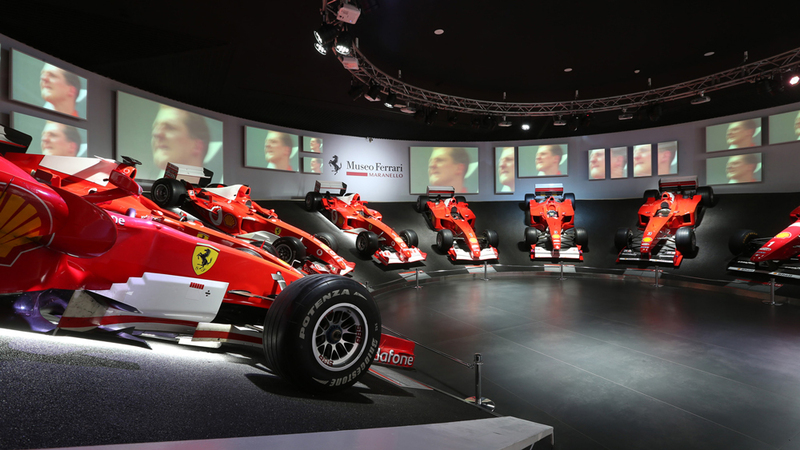 Hundreds of fans and members of Ferrari Clubs from across Europe converged on Maranello to mark the opening of the exhibition and celebrate the German driver’s birthday. Outside the museum they were photographed waving an enormous Scuderia Ferrari Club flag bearing the iconic Prancing Horse logo. Some of Schumacher’s prancing horses. Photo: Courtesy of Museo Ferrari Maranello. Inside the museum, a number of rooms are dedicated to Schumacher’s 11 years with Ferrari, including displays of some of the most important Ferrari single-seaters he drove. Fans will find everything from the 1996 F310—in which he won three grand prix races in his first season—to the F1-2000 that he took to victory at the 2000 Japanese Grand Prix, giving Ferrari its first world driver’s championship title in 21 years. The racer helped develop the 2008 Ferrari California. Photo: Courtesy of Museo Ferrari Maranello. The exhibition also recognises Schumacher’s work in helping develop a variety of Ferrari road cars following his retirement from the race team in 2006. 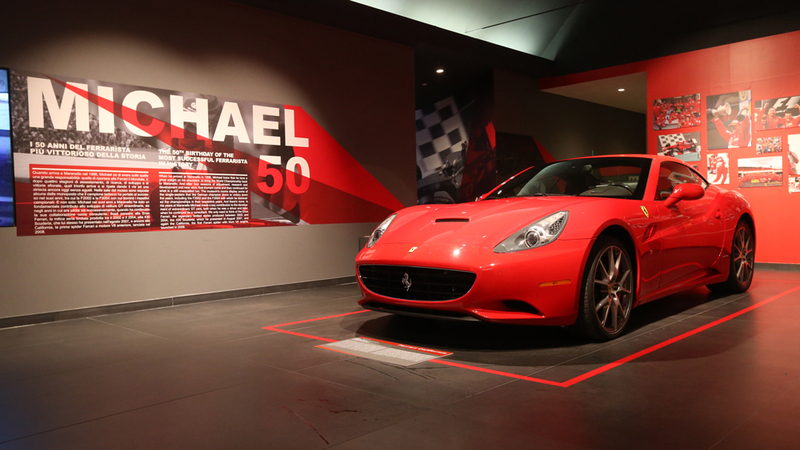 On display is a 430 Scuderia from 2007 and a 2008 Ferrari California. And in every room there are scores of rare photographs from the Ferrari archives, along with prized memorabilia, like the champion’s racing helmets. The “Michael 50” presentation will run through April.